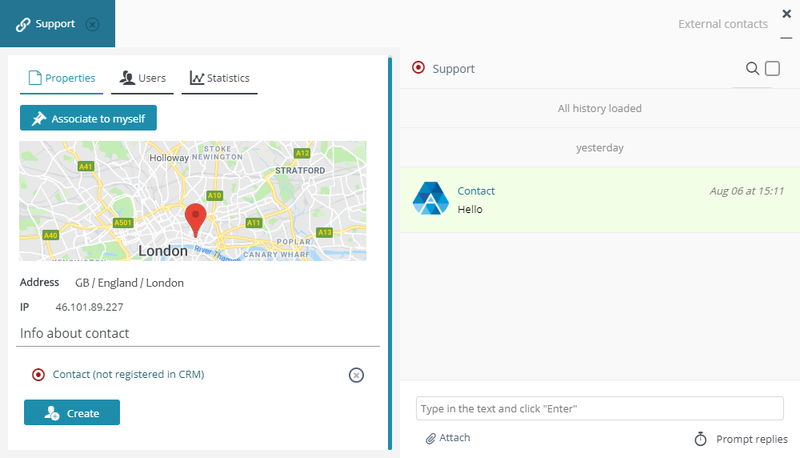 You can see all the messages from website users right in the CRM and chat with your website visitors in real time mode. 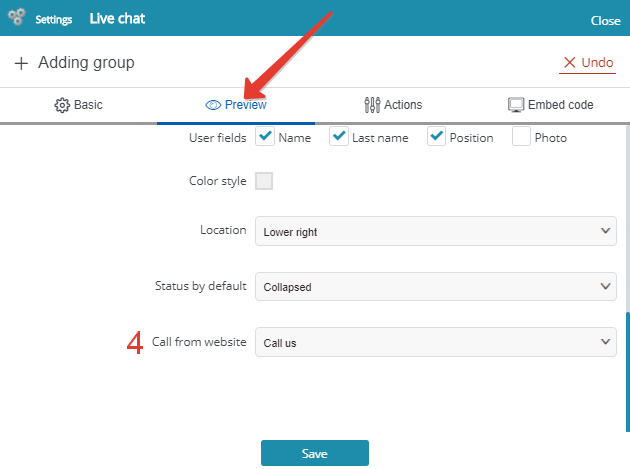 This function is very closely related to customer success, which makes it reasonable to create groups of customer success users prior to opening live chat. 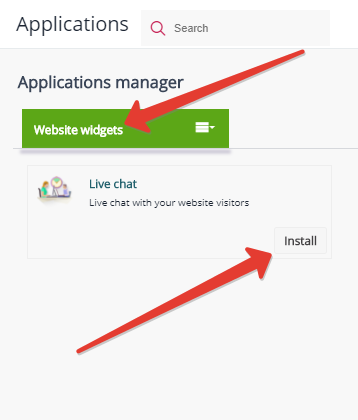 Run the application and add an entry for each website (or website section), where you are planning to enable live chat. 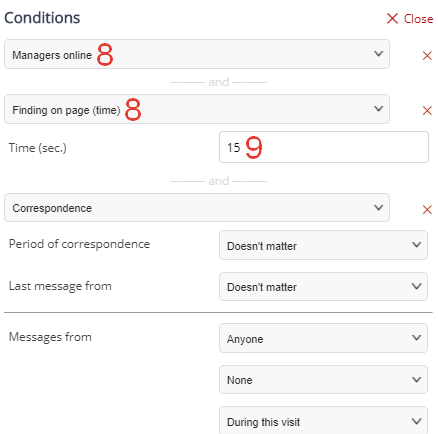 3 — select the feedback forms to be sent to website users for submission (for instance, purchase order or request for additional contact details). 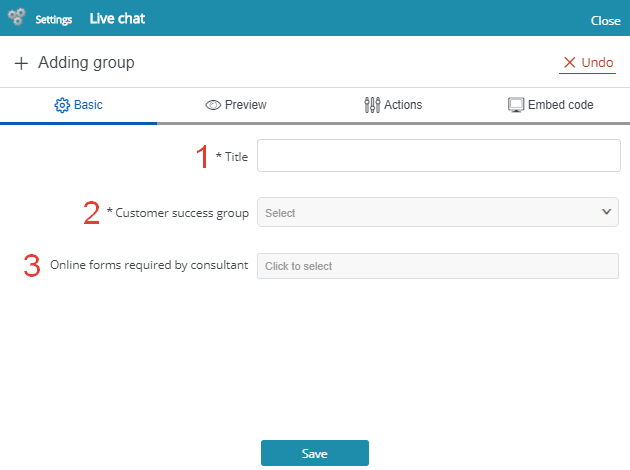 You can create online feedback forms following these instructions. 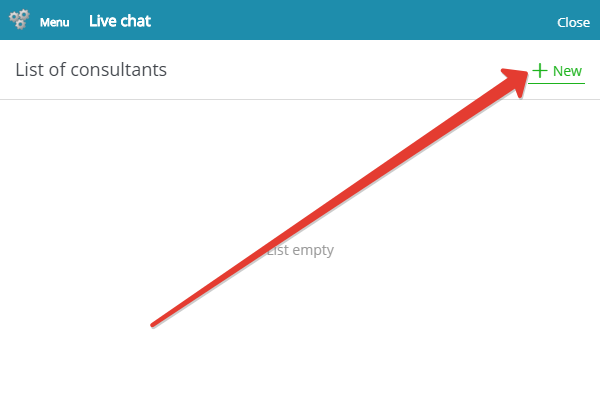 Open tab "Preview" to select the chat visual arrangement on your website. 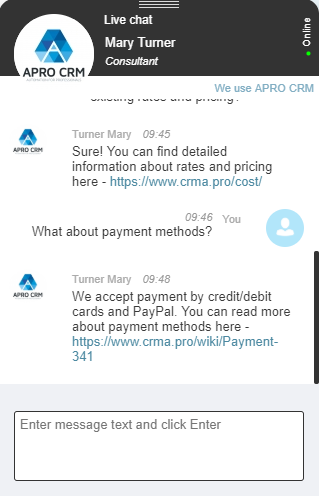 4 — call from website. 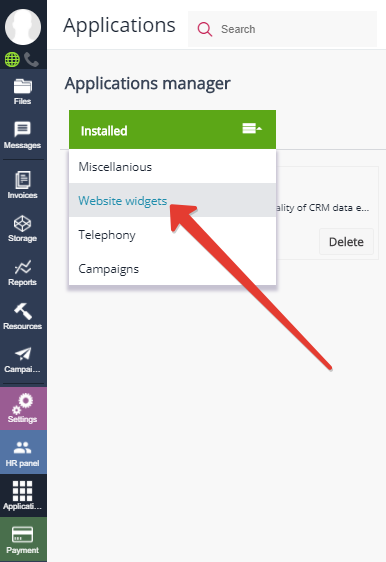 Use the link to APRO CRM telephony ("Call from website") and offer your customers to call you right from the website by clicking the correspondent icon in chat interface. 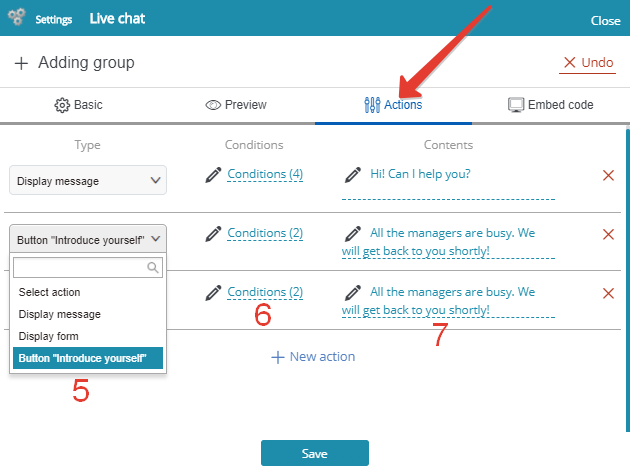 Open tab "Actions" to set the conditions triggering certain actions in live chat. Greeting message: 'Hi! Can I help you?' — triggered by a visitor's interest to your website content. Busy message: 'All the managers are busy. We will get back to you shortly!' — triggered by a long pause in the conversation or when all the customer service reps are absent. 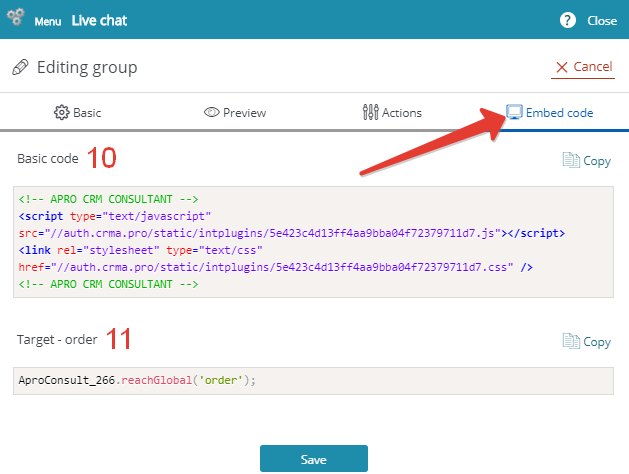 Copy the code from tab "Embed code" and paste it to your website pages anywhere above closing tags. 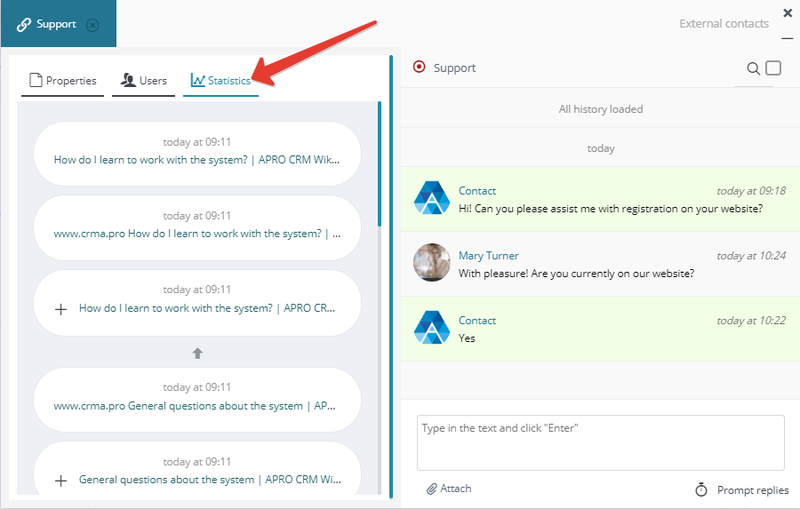 11 — target code (triggers events: for example, displays pop-up text 'Ask any question' when button "Place an order" is clicked).